Iridium provides an unbroken link from ship to shore. Reaching waters no one else can, Iridium’s global network goes beyond the limits of traditional maritime communications to support all your activities at sea, regardless of location. Reducing Costs and Enhancing Fleet Efficiency -- Maritime communications solution streamlines operations for vessels at sea. Keeping Fishing Vessels in Compliance -- Iridium connected vessel monitoring system provides monitoring and control of fishing vessels. Maintaining Vital Communications Connections While at Sea -- Iridium Connected maritime broadband service helps global climate change expedition stay in touch. Critical Cleanup in the Gulf -- Iridium Connected real-time tracking and monitoring is helping contain and clean up the largest accidental marine oil spill in history. Meeting Shipboard Communication Needs -- Iridium Connected voice and data service is reducing satellite communications costs at sea. Exciting News! - Iridium customers in California, Oregon, Washington, Alaska, and BC can now have State Area Code phone numbers. Reaching over oceans, through airways and across the Polar Regions, Iridium solutions are ideally suited for industries such as maritime, aviation, government, military, emergency and humanitarian services, mining, forestry, oil and gas, heavy equipment, transportation and utilities. 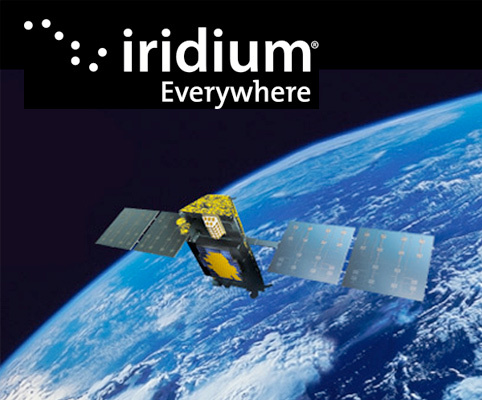 Iridium provides service to subscribers from the U.S. Department of Defense, as well as other civil and government agencies.